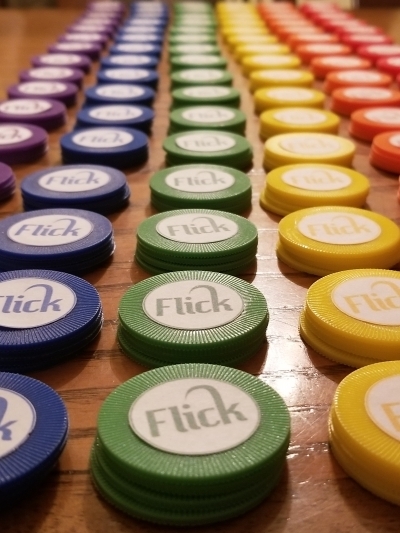 The first release from Spark of Madness is Flick: a table-top, all-ages party game. This fast-paced game is easy to learn and wildly addictive. 2 players. 10 to 20 minutes. Now available online. 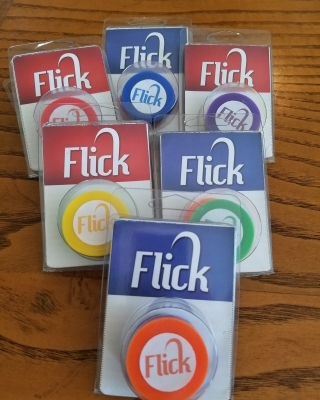 Stay tuned for the FLICK WORLD CHAMPIONSHIP COMPETITION. Many thanks to the years of play testers: Scott Walters, Julien Constantin, Jon Paterson, Aaron Macri, Zach Long, Mel Priestley, Suzi Radtke, Des Parenteau, the kids of Grandma Gooch and Max Taylor who was there for its conception.